My studio in Zaandam is dedicated to making photographic ceramic reliefs, ranging from small panels to large formats (up 3,5×5 meter). 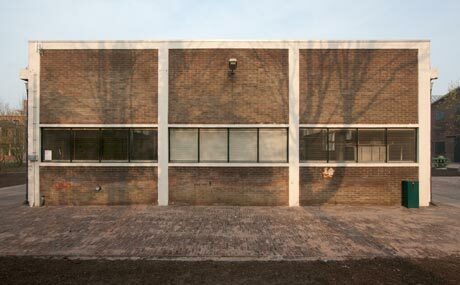 The building is divided in two parts: one a fully equipped ceramic workshop, the other a camera obscura. In front of the lens of the camera obscura I position objects which then can be seen inside the camera as projections on the large projection panel. The Photographic Hammer – a machine especially developed for this purpose – translates this projection into a photographic relief in clay. The fired results are exhibited as individual panels or as large tableaus. The work is very suitable for architectonic applications. 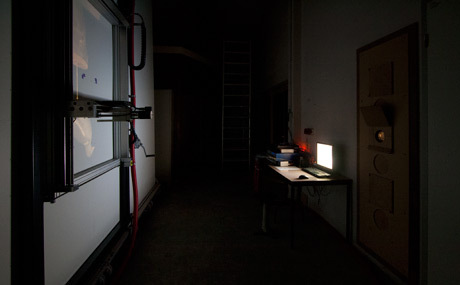 Inside the camera obscura in my studio: on the right the lens and the controller, on the left the projection panel and the Photographic Hammer. This is my studio at Hembrug, a former weapon factory in Zaandam. I converted the building into a camera obscura and specialized ceramics workshop. 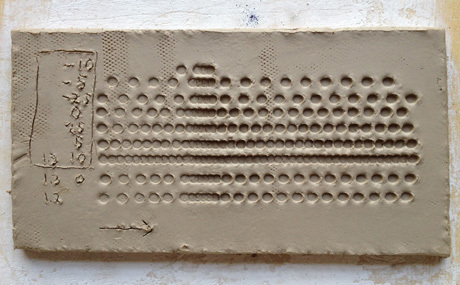 To create my image carrier I do systematic research of clay bodies, glazes, structures and their interaction, thereby building a library of reliably reproducible possibilities.